The man found unconscious with a head injury under a mattress at a hotel blocks from the Empire State Building earlier this week died of blunt force trauma and asphyxiation, according to the results of an autopsy released by authorities Tuesday. 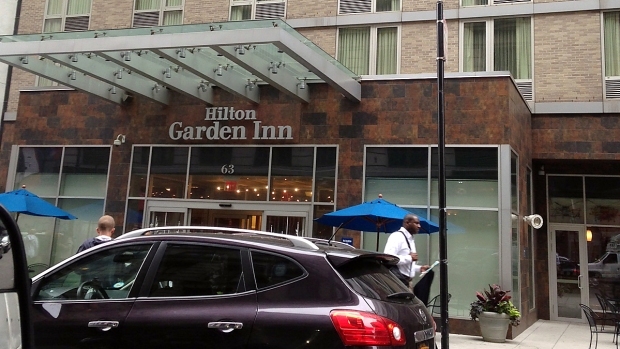 Officers found 28-year-old Roderick Goodwin of Bridgeton, New Jersey, unresponsive with trauma to the back of his head, when they responded to a 911 call at the 298-room Hilton Garden Inn near Herald Square on West 35th Street at about 4 a.m. Monday. Goodwin was taken to a hospital, where he was pronounced dead. The case has been classified as a homicide, and no arrests have been made. Police are investigating the death of a man who they say was found unconscious with a head injury under a mattress at a hotel blocks from the Empire State Building. Brynn Gingras reports. A hotel manager didn't immediately return a call from the Associated Press seeking comment.